Sustainable employability: another hype or a crucial theme? 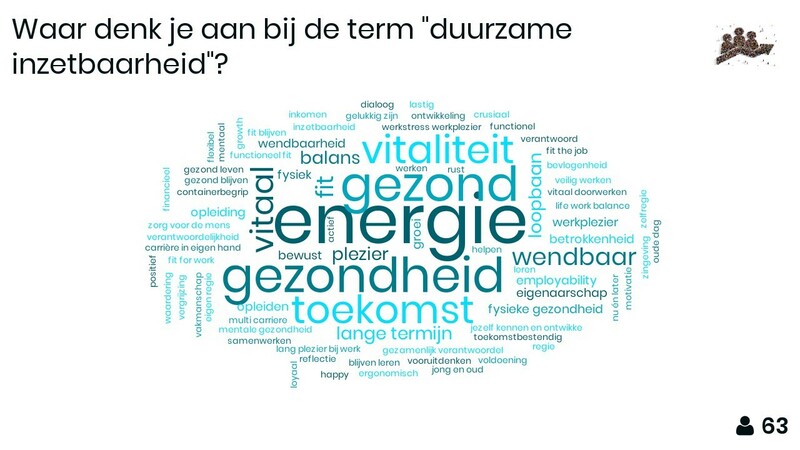 This is what we discussed during the sustainable employability day of ZuivelNL, which consists of representatives from various Dutch companies in the dairy industry. Among other things, we talked about what sustainable employability is, why it is important, and also about the instrument we have been developing at FrieslandCampina to assess and improve sustainable employability. It is very challenging and rewarding to work on this topic among a big group of blue collar workers who are too often forgotten when we discuss these issues.